Never Forget. A Day that Lives in Infamy. I’ve read a lot on this, but am by no means an expert. Perhaps the most enlightening read was in The Code Breakers by David Kahn. My take on that is the US knew but didn’t know; we had the data but couldn’t make it into information timely to understand what was happening and take action. Clearly, if we had known an attack was coming there were better ways to engage and thereby “get in the war” than to sit back and let this attack take place as it unfolded. Regardless of what was happening at political levels, and the other effects of the attack, a lot of men lost their lives at Pearl Harbor. It is those men whose memory I honor today. Yes - irrespective of whether someone wan'ts to believe some of the more unlikely theories - we should all put that aside for at least today to honor those who lost their lives. I spent many years living on base at Pearl, and feel a special connection to the place and the sacrifice that so many gave that day. I'm done since trolls don't deserve discussions and arguing with idiots just makes everyone dumber. Regardless, it is a day to remember historical events in the hope we learn something from such events, and don't repeat them. Everyday I was reminded of the sacrifices, and also feel a connection to the place. I still have my HI driver license/cell number, even though it has been over a decade since I moved from the islands. 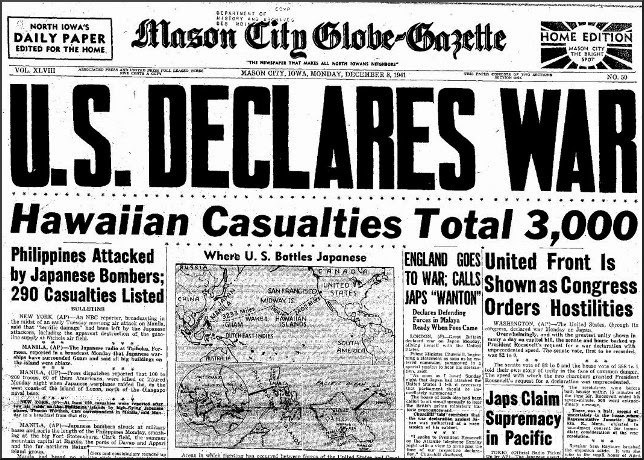 Enough information was known that an attack on US interests somewhere was imminent and a Japanese fleet was steaming across the Pacific. That the state of readiness was what it was (lack thereof) at PH was inexcusable at that time. Lets try this again. Perhaps you can put aside your argumentative nature for a day and just honor those who died. Some more photos from the days after. Well that's just a sad commentary on society, then, isn't it? The thread wasn't titled as a debate of the merits of US involvement, was just a thread setup to honor those who gave all. Haha, society in general is sad. I was there a few months ago. The locals were saying parts of the memorial were slowly disappearing underwater. That true? Part of honoring them is trying to figure out why we were caught with our pants down so badly so we don’t have so many others killed needlessly. I’ve been there and honor their sacrifice very much. I’ve also been to the gun that sits on the MN/St. Paul capital grounds that fired the first shots of the war and sunk a Japanese mini sub. Which also should of spurred the commanders into general quarters for the base......oops I’m not supposed to talk about that stuff. I read Code Breakers as well. We owe a great deal to our Native Americans. A great deal. Folks, we need to remember where technology was in 1941. Radar was very crude. The quality of radio transmissions varied wildly. There were no cellphone or smartphones. Long distance telephone was unreliable and often difficult to understand - and sometimes dead in the water, not to mention that you had to stand in line to make the call (with a pocket full of coins). With respect to an older veteran who has a traditional POV, FDR did need a reason to get the US into WW2 and, although an unfortunate event, the attack on Pearl Harbor did accomplish that. Remember that England, France and the British Commonwealth had been engaged with WW2 since 1939. FDR was somewhat engaged via "lend-lease" but also knew that the US had to get more involved to defeat the Axis powers. America was extremely isolationist up until Pearl. My father-in-law was in the Royal Cdn Navy and on corvettes escorting freighters across the North Atlantic from 1939 to 1945. The French defence of France lasted 6 weeks so I'm not sure they can be seen a major player in WWII same with the Dutch/Poles/Czechs and Belgians as they were just rolled over in a matter of days. Anyway, everyone is grateful for the US intervention and bravery of all involved. The Japanese were spoiling for a fight attacked without warning and acted monstrously throughout the war often in a wanton and depraved manner and in the end reaped the whirlwind they tried to sow. Last edited by Wills2; 12-17-2018 at 05:05 AM. But then you could also ascribe that to incompetence of command just as readily as some government plot to draw the Japanese in. Hindsight makes fools of everyone. Exactly. Doolittle and his raiders returned the favor in the air over Tokyo and Japan didn’t see that coming either. That involved a fleet getting within bomber striking distance that was only discovered accidentally by a random Japanese ship. 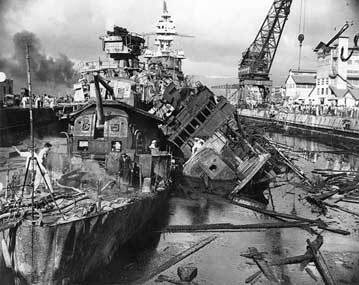 The U.S. did not feel the "Japs" (as a race) were capable of devising and carrying out an attack. Remember this is the same culture that did not feel blacks were capable of becoming Pilots. Racial prejudice was strong. We were woefully unprepared for the attack and add the mistakes and there you have it. No conspiracy. How can anyone question that we would sacrifice a good portion of our navy and lives to get into the War? Anyone who believes that doesn't know squat about WWII. The U.S. dropped the Bomb to end the war. They were killing Japanese and destroying cities at an enormous pace. But they felt the Fury of the A Bomb would get their attention.